Only five local authorities have taken advantage of the Government’s £4.5m funding pot for EV charge points despite funding to provide thousands of extra points having been available since 2016. Branding the take-up as “extremely disappointing”, transport minister Jesse Norman and climate minister Claire Perry have written to local councils urging them to take up the funding, which offers up to 75% of the cost of procuring and installing chargepoints, with local authorities able to find the remainder through public and private sources. The On-Street Residential Chargepoint Scheme launched in 2016, with additional funding added on 1 December 2017. This follows the Autumn Budget announcement last November of additional funding for electric vehicles, charging infrastructure and the Plug-In Car Grant – which gained an extra £100m with the aim of continuing the scheme until 2020. 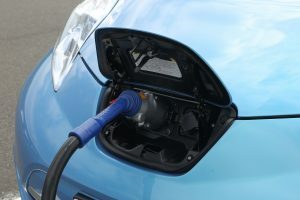 The Government has also announced that it’s extending current grant rates for both the Plug-in Car Grant and the Electric Vehicle Homecharge Scheme to help drive the “electric revolution”. Commenting on the low take-up of the residential charge point scheme, Mr Norman said: “We are in the early stages of an electric revolution in the UK transport sector, and connectivity is at its heart. The Renewable Energy Association also urged local councils to take up the funding, saying that they have a key role to support uptake of EVs. However, Matthew Trevaskis, appointed head of electric vehicles at the Renewable Energy Association last year, said local authorities, under Section 106 requirements and the “Merton Rule,” have the ability to go further than only use central Government funds and also have the powers to compel developers to build EV charge units on their properties, alongside other measures such as requirements for buildings to self-generate a portion of their own power through onsite renewables. Trevaskis added: “A sea-change in transport is underway but creating a mass-market for EVs is a chicken-and-egg scenario. Prices for new electric cars are falling and widespread uptake will bring benefits for the UK and consumers, but a viable charging infrastructure needs to be in place for them to really become commonplace across the country. Latest Society of Motor Manufacturers and Traders (SMMT) data shows the UK recorded a 34.8% uplift in electric and hybrid vehicle registrations during 2017 despite an overall fall in new car registrations. A total of 119,821 alternative fuel vehicles were registered in the UK last year, compared to 88,881 in 2016, with the sector now accounting for one in every 21 new cars.